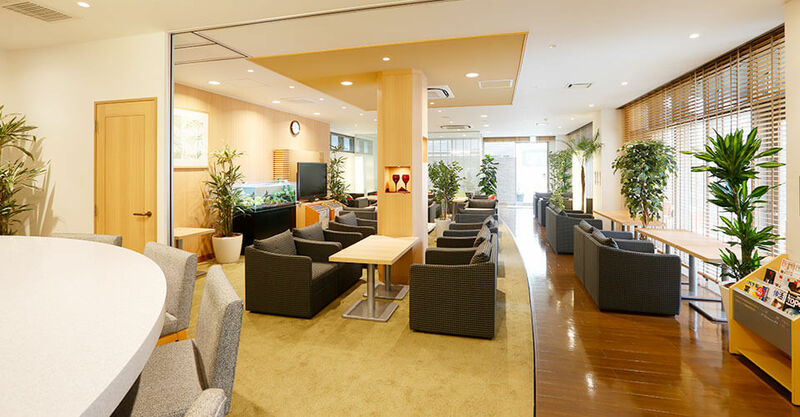 features European Stylish Design combined with Traditinal Japanese Hospitality. 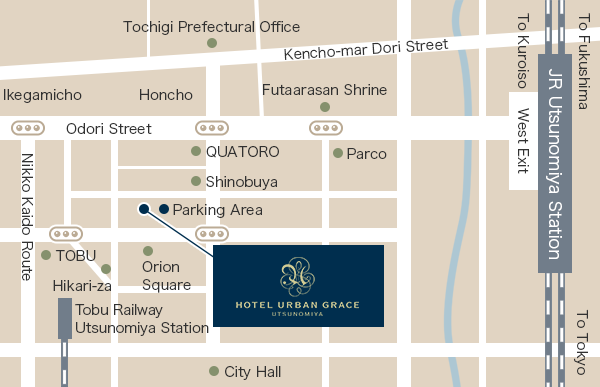 Thank you for visiting our website of Hotel Urban Grace Utsunomiya. We are proud of being able to offer our guests the Japanese cordial hospitality and comfort based on the European convenience and elegance. In this healing space you can be relaxed and feel yourself at home. Simmons Beds and Twin Pillows (Solotex & Feather) guarantee you a good night's rest. Please start a new day with a refreshed mind and body! Please confirm to download the pdf file. 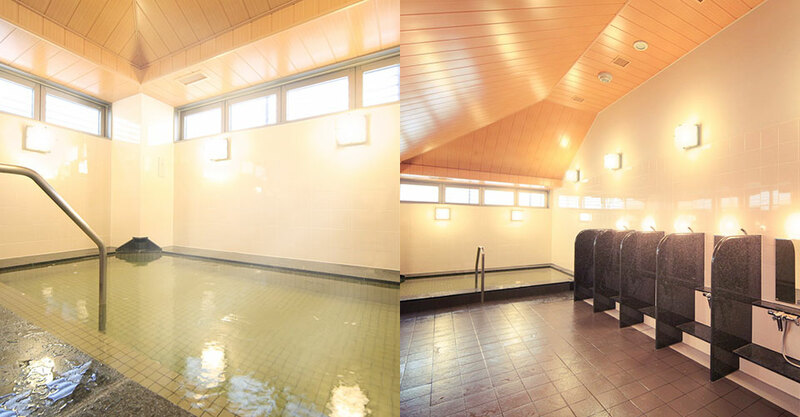 You will find just a touch of luxury awaiting you at Hotel Urban Grace Utsunomiya. We feature the following amenities. We promise you a good night’s sleep, thanks to our Simmons mattresses with Pocketed Coil technology. Our sedately appointed rooms will make you feel right at home. You’ll sleep snugly in our feather-filled duvet bedding. We provide both Solotex and Feather pillows so that you’ll awaken refreshed. Room lighting can be adjusted to whatever level of illumination makes you the most comfortable. The bed with the width of 1400 mm, as wide as a double bed, is installed in even for a single room. 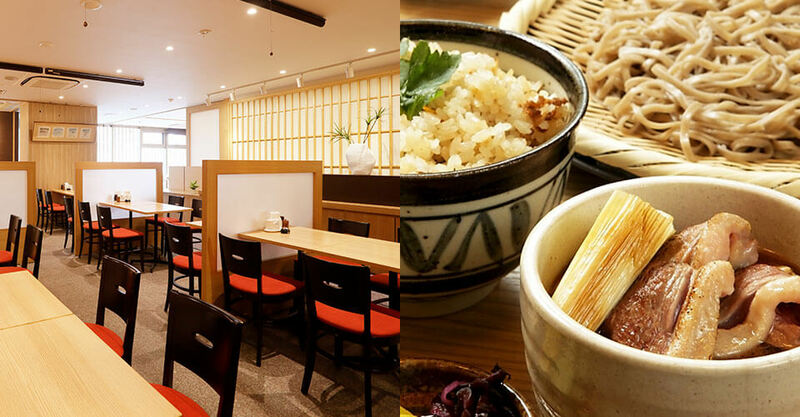 Simple, functional and decorated in the traditional Japanese manner. Simmons bed promises you a good night sleep. There are ladies rooms with privileges such as foot massage, Aroma and room amenities for female guests. Sole guests can stay as well. Queen bed with the width of 160 cm is installed. Wide and comfortable beds bring you a pleasant time. Bed liner is covered with the stylish color of the indigo blue, which is the hotel's theme color. Gracious stay surrounded by wood caving furnitures, painting artworks and distinctive texistile designs. The queen side bed of the width of 160 cm is from Simmons and pursuing the ideal comfort. Deluxe Rooms promise you the higher-quality stay with its peaceful interiors, an east bed and a separate bathroom. High-speed internet is also available. It will be the room that gives priority to those with physical disabilities. The bathroom and toilet are separate and separate rooms. There is no step in the toilet / bath so that you can use it in a wheelchair, it will be flat. With sophisticated and elegant atmosphere, the restaurant serve you from breakfast buffet to dinner and banquets. Even walk-in guests are warmly welcomed. There is the internet space prepared, where there are the internet (to use printer is charged), newspapers and 52 inch Large TV and the designated smoking room available. Man-made hot spring made with tourmaline stones. There are the large communal bathes for men and women both. Please have a good stretch freely and relax in the large bathes. 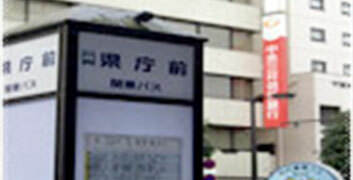 Please come to the Bus Terminal at the West Exit of the Station and take a but bound to "Kencho-mae (the prefectural office)"
Get off at Kencho-mae (the prefectural office) bus stop and turn left on the road with "Kameda Shoten" book store. 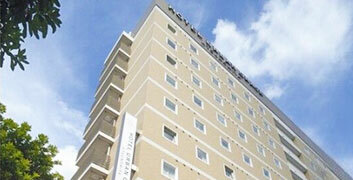 You will arrive at Hotel Urban Grace Utsunomiya. 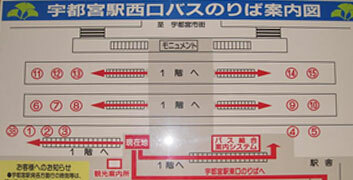 We have car parking spaces in the multilevel car parking tower and the indoor parking area. ＊Parking spaces are provided in order of arrival. ＊You can’t park large-sized cars, buses, trucks or nonstandard vehicles. ＊During your stay in our hotel, you can pull out of and pull into the parking lot only once, we can’t guarantee you the same parking space after you pull out of the lot. ＊Parking fee is paid at the time of check-out. ＊As it sometimes takes a relatively long time to take out a vehicle, please ask for taking-out early if you are hurried. ＊Before using the Municipal Parking Lot, show the parking ticket at the front desk. ＊The hotel does not assume any liabilities for damages due to car accidents or theft in the parking facility. Copyright © 2018 Hotel Urban Grace Utsunomiya All Rights Reserved.